The Packers’ starting right tackle could be Don Barclay or Marshall Newhouse on Sunday, as Barclay missed his third straight day of practice on Friday with a knee injury but continues to improve and still might play against the Giants. Barclay is officially listed as questionable. C Evan Dietrich-Smith (knee) sat out practice on Friday as a precaution but is probable, so it appears one change up front would be the most facing the starting offensive line this week. Barclay is in just his second season, and often with a young player, McCarthy is reluctant to have that player play if he doesn’t get to practice at all during the week. But he’s making a bit of an exception this week with Barclay, who has engendered confidence from the coaching staff by all of his off-the-field preparation. QB Aaron Rodgers was officially ruled out on Friday for the second straight week with his broken collarbone, and McCarthy did not have an update on when he could potentially return to action. The team is still in wait-and-see mode. Elsewhere on the injury report, LB Mike Neal (abdomen) and DE Johnny Jolly (groin) both returned to practice on Friday and are listed as probable, along with DE Ryan Pickett (knee). CB Sam Shields sat out practice on Friday to rest a tender hamstring, but he is also probable. LB Nick Perry (foot/ankle) is doubtful, while fellow outside LB Andy Mulumba (ankle) is questionable. CB Casey Hayward (hamstring) has been ruled out and will be out multiple weeks. In other injury news, TE Jermichael Finley had surgery on his neck on Thursday in Pittsburgh and will be returning to Green Bay soon. LG Josh Sitton (back) and TE Jermichael Finley (toe) both missed practice on Wednesday, leaving their status for Sunday’s game against Washington in doubt. Also, S Morgan Burnett (hamstring) returned to practice on a limited basis, but Head Coach Mike McCarthy said it would take the entire week to determine whether or not Burnett can play. Sitton had his back flare up on him during the long flight to San Francisco, but he played the whole game. The long flight back didn’t help matters, though. 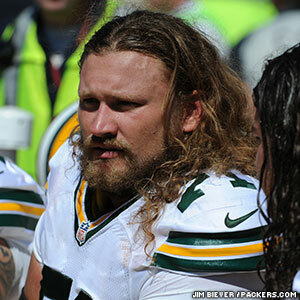 “It’s feeling better than it did Monday and Tuesday, but I don’t know, we’ll see,” Sitton said. “We’ll be able to gauge it more as the week goes on. Sitton had a rough second quarter in San Francisco, getting called for three penalties — two holding and one illegal hands to the face — while trying to block All-Pro Justin Smith. Long story short, Sitton wasn’t crazy about the calls. 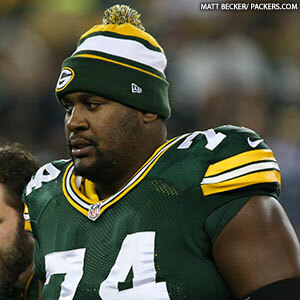 If Sitton is unable to play on Sunday, McCarthy said that Marshall Newhouse would be the next lineman in. Newhouse started primarily at tackle the past two years, so one possible lineup would put Newhouse at right tackle and move Don Barclay to Sitton’s left guard spot. Newhouse also could play guard, though he hasn’t done so in a regular-season game in his career. “Things are kind of open,” Newhouse said. “We’ll be flipping a lot and taking a lot of reps and things are still up in the air as far as that’s concerned. I know the offense well. Finley will be “hard pressed” to practice on Thursday, according to McCarthy, but any decision on his game status would wait until at least Friday. Coming off of their first loss of the season last week, the GREEN BAY PACKERS were able to get back on track by beating a long time rival in the Chicago Bears and clinch home field advantage throughout the playoffs. The Packers offensive line allowed AARON RODGERS (California) enough time to have a personal best five touchdown passes while allowing only one sack. This impressive performance by the injury plagued offensive line establishes the Green Bay Packers as a contender for the third annual Madden Protectors Award. The award honors the NFL’s best offensive line and will be presented during the week of Super Bowl XLVI, which will be played on February 5, 2012 in Indianapolis. Past Madden Protectors Award recipients include the NEW ENGLAND PATRIOTS (2010) and the NEW ORLEANS SAINTS (2009). The Madden Protectors Award recognizes the fundamental role offensive linemen play in their teams’ success by providing consistent and powerful protection day in and day out. The Packers continued their dominance throughout this season as they notched their 14th win of the year and can now rest easy until the second round of the playoffs. The offensive line was missing three of their four top tackles and still managed to only allow one sack and only two hits on Rodgers. The offensive line starts in the middle with center SCOTT WELLS (Tennessee), who is flanked by guards EVAN DIETRICH-SMITH (Idaho State) and JOSH SITTON (Central Florida). Providing powerful protection on the outside are tackles MARSHALL NEWHOUSE (Texas Christian) and T.J. LANG (Eastern Michigan). Offensive line coach JAMES CAMPEN is in his fifth season with the Packers and in each of his first four years, the Packers have finished in the top 10 in the NFL in total offense. The offensive line allowed for Rodgers to throw for 283 yards and 5 touchdowns. With the combination of RYAN GRANT (Notre Dame) and JAMES STARKS (Buffalo), the Packers were able to rush for 81 yards on the day. “The Packers offensive line played a great game against Chicago on Sunday night,” said Pro Football Hall of Fame Coach JOHN MADDEN. Other offensive lines from around the league delivering powerful protection during Week 16 were the NEW ORLEANS SAINTS (463 total yards, 307 passing yards, 164 rushing yards, 1 sack allowed, 2 QB hits allowed) the BUFFALO BILLS (351 total yards, 191 passing yards, 160 rushing yards, 1 sack allowed, 2 QB hits allowed), the BALTIMORE RAVENS (284 total yards, 122 passing yards, 162 rushing yards, 1 sack allowed, 2 QB hits allowed), the CAROLINA PANTHERS (433 total yards, 163 passing yards, 270 rushing yards, 1 sack allowed, 1 QB hit allowed), and the PITTSBURGH STEELERS 377 (total yards, 208 passing yards, 169 rushing yards, 0 sacks allowed, 1 QB hit allowed).